BOSTON—The Paul & Daisy Soros Fellowships for New Americans, a graduate school fellowship for outstanding immigrants and children of immigrants in the United States, has announced their 2017 recipients. 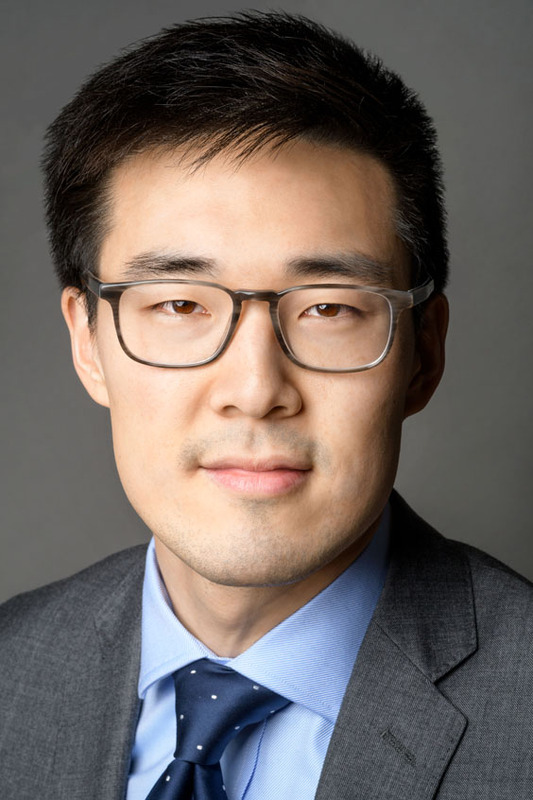 Two Harvard Business School (HBS) students, Caleb Gayle (a member of the MBA Class of 2019 as a joint degree candidate at HBS and the Harvard Kennedy School) and Peter Hong (MBA 2018) were selected from 1,775 applicants for 30 fellowships and chosen for their potential to make significant contributions to US society, culture, or their academic field. They will receive up to $90,000 in funding for their graduate school education. "At a time when the national conversation seems to be on what immigrants are taking away, we are putting the spotlight on what immigrants from diverse backgrounds contribute to the United States,” said Craig Harwood, who directs the Fellowship program. "This fellowship really belongs to my parents and grandparents, who made the difficult journey from Jamaica to the United States, worked numerous jobs to provide for me, and continue to sacrifice for me," said Gayle. He chose HBS as a place where he can “learn skills that the social and public sectors desperately need to more effectively serve people in need." Hong is the child of South Korean immigrants. They sought the opportunities offered by the United States while also working to ensure that he had a deep understanding of Korean culture, including fluency in their native language. Educated as a software engineer, Hong hopes to build products that benefit society and contribute to better policy. Jason Bae (MBA 2013), Arjun Chopra (MBA 2004), Alice Corsello (MBA 2011), Roben Farzad (MBA 2005), Luis Diego Garcia (MBA 2010), Min Ho Kim (MBA 2003), Jin Kim (MBA 2006), Eva Luo (MBA 2014), Ankur Luthra (MBA 2006), Sina Kevin Nazemi (MBA 2011), Monica Santana Rosen (MBA 2004), Vishwajith Sridharan (JD/MBA 2019), and Heela Yang Tsuzuki (MBA 2001). HBS assistant professor Gautam Mukunda is also a past recipient. Other Fellows have included US Surgeon General Vivek Murthy; Fei-Fei Li, chief scientist of artificial intelligence at GoogleCloud; pharmaceutical CEO of Roivant Sciences Vivek Ramaswamy; Lieutenant Governor of Washington Cyrus Habib, lieutenant governor of the state of Washington; leading American Civil Liberties Union attorney Nusrat Choudhury; award-winning writer Kao Kalia Yang; and nearly 600 other New American leaders. The 2017 Fellows, who are all thirty years old or younger, come from a wide range of socioeconomic backgrounds and are all naturalized citizens, green card holders, or the children of immigrants. Their backgrounds reflect much of the diversity of recent immigrants and refugees in the United States. The 2017 class has roots in Bangladesh, Brazil, China, Colombia, Guyana, India, Iran, Jamaica, Mexico, Nigeria, Poland, Russia, South Korea, Suriname, Taiwan, Venezuela, and Vietnam. Hungarian immigrants Daisy M. Soros and Paul Soros (1926-2013) founded the program in 1997. Born in New York to Jamaican immigrants, Caleb Gayle remembers a childhood that was defined by his grandfather, a strict but loving reverend who cherished the pursuit of the American dream and believed there was no excuse for anyone who fell short. It wasn’t until Gayle’s family moved to Tulsa, Oklahoma, that he began to grapple with systemic racial and economic injustice, an experience that led to his interest in nonprofits and government. After graduating from the University of Oklahoma as a Harry S. Truman Scholar, Gayle worked for Crea Comunidades de Emprendedores Sociales, a social enterprise that creates customized programs to empower women entrepreneurs from marginalized areas in Mexico. After completing graduate studies at the University of Oxford as a Rotary Ambassadorial Scholar, Caleb returned to Mexico to support the development of Crea as a federal government program, Mujeres Moviendo México. In 2013 Gayle joined the George Kaiser Family Foundation to increase the scope of programs focused on improving the livelihood outcomes of low-income families and children. His team’s work has been chronicled in the New York Times, the Atlantic, and Education Week. His essays have been featured in the Huffington Post’s Black Voices series, the Chronicle of Philanthropy, and the Harvard Kennedy School Review. 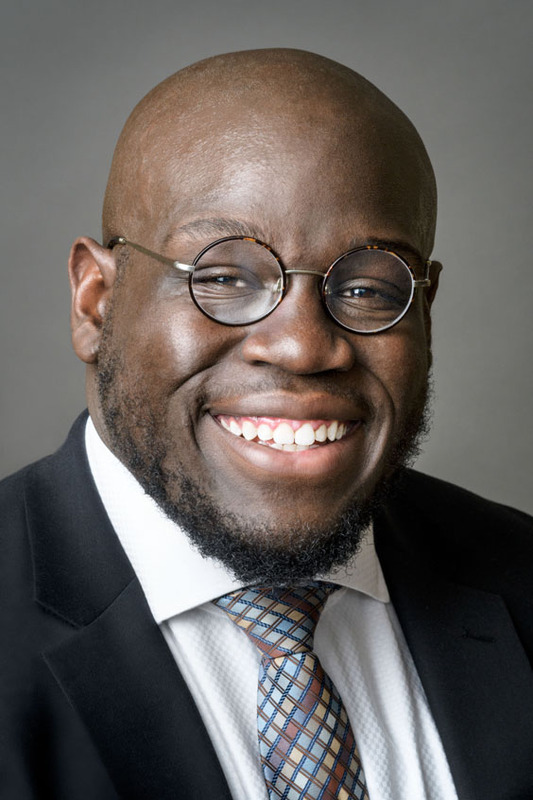 He is a Sheila C. Johnson Leadership Fellow at the Harvard Kennedy School’s Center for Public Leadership and the managing editor of Crimson & Black: A Journal for Black Policy. Gayle has served on the boards of the Tulsa Day Center for the Homeless, the Tulsa Area Salvation Army, and the MetCares Foundation. Eventually, he hopes to return to philanthropy and emerge as a political leader. A child of South Korean immigrants, Peter Hong was born in Colorado and raised in Michigan. Growing up, he attended public school during the day and then came home to a rigorous curriculum in Korean culture and language that was developed and taught by his parents. While Hong says it was difficult for him to always appreciate his education in his Korean identity, but all that changed when he was able to intern for the United States Embassy in Seoul at the age of seventeen. He quickly realized the value of his language skills and cultural knowledge, while learning about the United States from an entirely new vantage point. Witnessing the power of public service, he resolved to contribute to the US in any future endeavor. As an undergraduate at Stanford, Hong took extended absences to intern at Google, the US State Department, the Los Alamos National Laboratory, and the Lawrence Livermore National Laboratory. Each provided views into how interests in software and policy could manifest in public service. These experiences culminated in his joining Palantir Technologies as a software engineer, building products that serve organizations and their need for data for decision making. He began developing software products that could help with everything from disaster response data sharing to geospatial analysis tools. Peter is pursuing a Harvard MBA to supplement his motivation to build software contributing to society and public policy. He intends to continue experimenting with and developing software products for use in healthcare, citizen services, and academic research.